Big Brother Nigeria is back: it has now been rebranded to Big Brother Naija and Auditions will be held in Lagos on the 26th and 27th of November. The Nigeria reality TV show based on the Big Brother TV series will return to DStv and GOtv in January 2017. The show is now referred to as Big Brother Naija. In the first edition of the show, twelve housemates vied for the coveted $100,000 prize money by performing various mental and physical tasks. At the end of a three-month stay in the house, Katung Aduwak emerged winner. The show also produced other notable stars such as Africa Magic’s Tinsel actor, Gideon Okeke, and TV personality Ebuka Obi-Uchendu. The comeback of the show is one of the ways MultiChoice Nigeria is enhancing the quality and variety of content available on its platforms and the show has been well developed following the successes of past seasons of Big Brother Africa. Big Brother Africa has always been popular for its entertainment value and ability to showcase ordinary Africans from different walks. 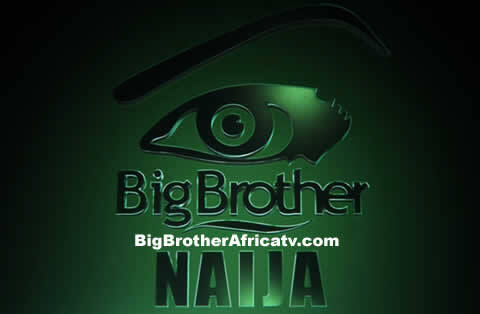 Auditions for Big Brother Naija will hold in Lagos on the 26th and 27th of November; more information on the show will be revealed in the coming weeks. Biggie what about Big Brother Africa?? Biggie but you said there would be auditions for Big Brother Mzansi too, now what is this?? Or atleast bring us Big Brother Africa but not just for Nigeria alone. We are tired of the boredom Biggie. Hello there, we would also love to have Big Brother Mzansi or even Big Brother Africa but we have to wait for what the Official organisers of the shows decide. So as soon as there's any update about Auditions for either Big Brother Mzansi or Big Brother Africa from DSTV or MultiChoice, we'll obviously be updating you guys here. Therefore at the moment we suggest that you get ready for Big Brother Naija because it's starting in January 2017. from ADMIN..
Hello Nimi, thanks for the question. The forms will be given out at the Audition venues, kindly find more information at the following link: http://www.bigbrothernaija.net/2016/11/big-brother-naija-2017-auditions-date-venues-application-forms-requirements.html from ADMIN..
Will Big Brother Naija be screened only in Nigeria or can other countries watch also? It's true big brother naija will be screened in Nigeria but we are not yet certain if it'll also be screened in other countries, but we'll obviously update you here as soon as we get to know about the other countries in which Big Brother Naija will be screened. Hello bigge,I'm from abuja, bigge hope fine Guy's will be in the big brother house also? Because me coming for them. Hello Anita Ihenyen, obviously fine guys will also be in the big brother naija house and they're also waiting for you. Please don't forget to come for the auditions so that you can get a chance of entering the Brother Brother house were you'll find your fine guys. Hi. I'm 20 yrs old, will be 21 December this year. Can I still come for the audition? Hello George John, you cannot come for the big brother naija auditions because you're below the required age.. You must be over 21 years of age to come for the auditions. Please Biggie Naija come to Accra Ghana ,lots of Nigerians here are interested and we missed the date. A friend just told us today and we will live to be audition. Please!! !